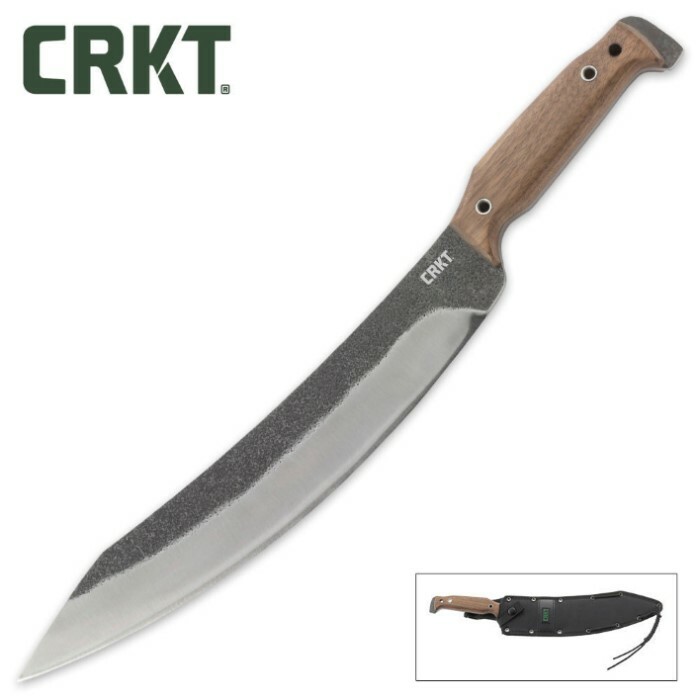 CRKT Liong Mah Mah-Chete | BUDK.com - Knives & Swords At The Lowest Prices! Designed by Liong Mah, CRKT's new Mah-Chete features a wide, upswept blade design that provides tons of utility for a wide range of applications. 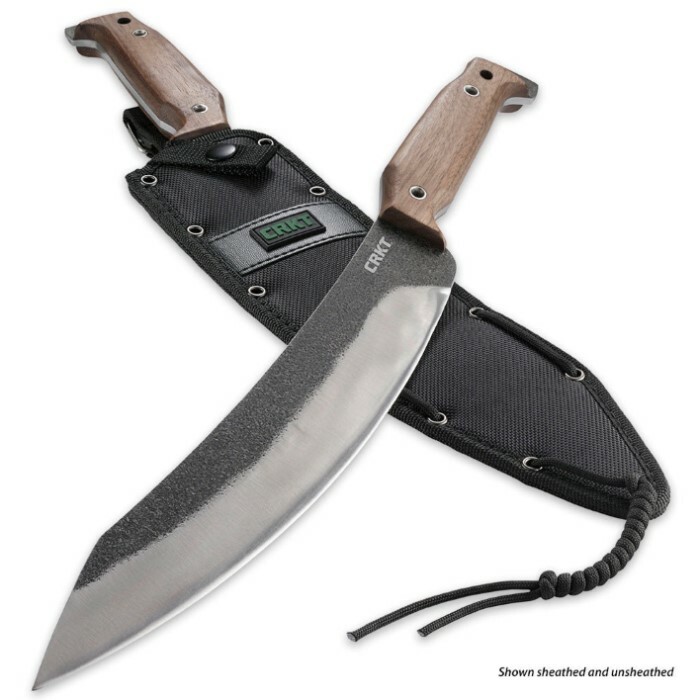 It's especially useful for clearing brush quickly and efficiently, featuring a 12" blade of 1075 carbon steel. The full-tang construction makes it extremely durable so it can stand up to strong use for years to come. The smooth walnut handle provides a firm grip complete with a pre-drilled lanyard hole, so you can easily attach a lanyard for on-the-go use. A reinforced nylon sheath is included. This is my new favorite. Crkt did it again. All their stuff is awesome! It's lightweight for its size. But the blade is thick for its weight. Razor sharp out of the box. Perfect handle. Fits great in my hand. I have medium size hands. Some would say small...... they're medium. The sheathe is awesome too. You can carry it on your hip, or scout style horizontal on your lower back. Definite win. Although i had imagined this thing or maybe suspected it would just end up being a pointy chunk of metal after receiving mine today i'm very excited. 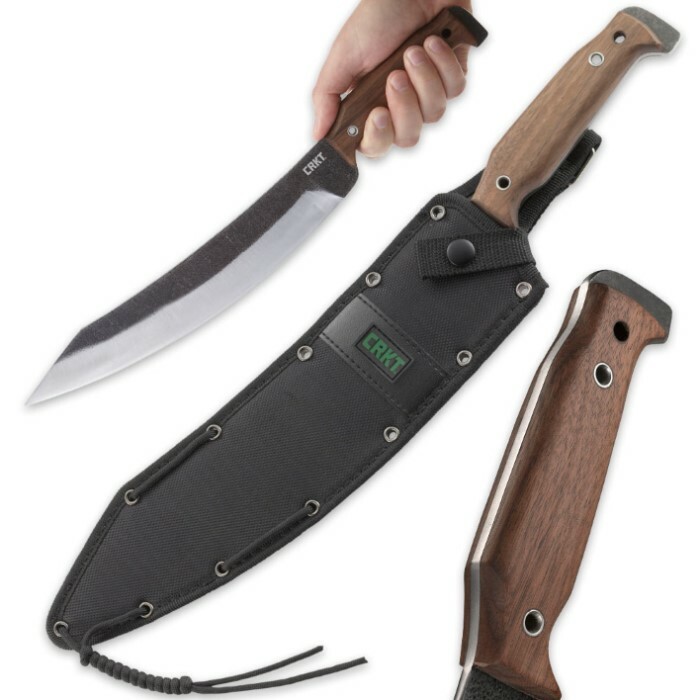 The rugged finish looks great and the hardwood handle also has a very comfortable grip.The tang is significantly thicker than the blade and feels very solid and dependable. Overall i was looking for something manueverable yet packing a punch and i think this will do nicely blazing trails, campsite cleaning etc. only thing i would change is the grind but this thing comes very sharp out of the box so not complaining much.